Why? Why photography? Why wedding photography? Most people will give you the usual few lines or paragraphs on how they love photographing people and capturing those special moments. I bet you’ve already read those lines on the last few sites you have been on. So let me tell you the real why, my why. I never grew up wanting to be a wedding photographer, I don’t think anyone does, but that feeling I got after my first wedding had me hooked. I’ve always been a people watcher, so wedding photography is almost a dream job for me. More importantly for me though is telling a story. When I deliver your wedding photographs to you, I want to imagine you flicking through them like an old fashioned flick book. I want you to see your wedding day through my eyes. I want you to see the little moments, the special moments that make a wedding day perfect. No one leaves school wanting to be a wedding photographer! So why did I decide on wedding photography? 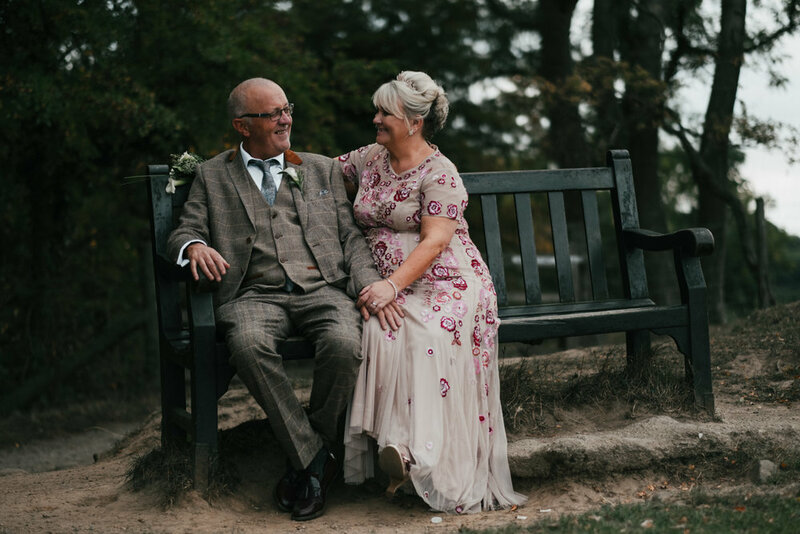 Firstly my passion is the outdoors, I am and always have been more comfortable out on the hills rather than in a crowd of people, so when I told my family and friends about how I was going to photograph weddings you can imagine the look on their faces. What people always fail to understand though, when you photograph something, you don’t just photograph it, you tell its story, or thats the aim. Anyone can just snap away and take a photograph, but telling a story through your images is what has drawn me to weddings. The photos you see on pinterest or bridal magazine dont interest me. They are too perfect! Life is perfect, trust me I know. The wedding photography I love isnt perfect, its real. Its real people showing real emotions. It’s your dad shedding a tear after he has just seen you for the first time in that amazing wedding dress. It’s that little nephew running around the back of the church as your are exchanging your vows. Its definitely that one aunt who cant handle her drink slumped in the corner while everyone else is on the dance floor. So that’s why I photograph weddings, thats why Im a wedding photographer. Its telling real stories, with amazing people. Im a wedding photographer based in Teesside. I photograph peoples stories from the most important day in their life. I cover from North Yorkshire to Northumberland, but I do travel right across the UK and beyond. I believe wedding photography should be simple, yet filled with so much, fun, excitement, and natural emotions. However, the most important thing is that a good story about your wedding day is told. It’s a special day, your special day, and I intend to make it as special as possible for you. I want you to enjoy every bit of your day. I most definitely will not ask you to strike a pose or do the looking into each other’s eyes, rather I’ll capture those candid moments of pure emotions, with people laughing and enjoying themselves. I love capturing memorable wedding moments just the way they happen; hence, whatever happens at your wedding, is just what you will find in your wedding photos. Whether it's a child crying, or people laughing, it’s these moments that really add color to your wedding day, and when these moments are put together, you get an awesome wedding story that is filled with beautiful memories. There is nothing more natural than a happy, loving couple on their wedding day.